Once literally just a corner where the main road to Charlottesville met the entrance to the University Grounds, this district has expanded to become five city blocks of around-the-clock activity. It is the home of bookstores, restaurants and bars, convenience stores, pool halls, live music venues, coffee shops, clothing stores, private residences, and more. A succession of merchants, professors, townspeople and of course students has lived and worked together in this community for almost two centuries. Despite a devastating fire in 1895, the Academical Village and the Lawn have changed little over the years. The scene offers a magnificent timelessness that stirs the spirit. But amble down the hill to the Corner for an altogether different experience. Here time plunges on: buildings rise and fall, businesses come and go, and once familiar faces are replaced by new characters and fresh scenes. Here at the Corner, we learn that history is written as much in brick and stone as it is in words. Great chapters in the Corner story have already closed: Chancellor’s Drugstore, the University Cafeteria, the Cavalier, Van Lear’s Billiard Parlor, Page’s Florist, Anderson Brothers Bookstore, Spicer Brothers Cleaners and the University Diner. Unforgettable characters have passed: bookstore owner Billy Williams, panhandler Tim Murphy, barber Milton Via, rooming house owner Eliza Page, and restaurateur and war hero Gus Heilman. Yet some great chapters continue to be written in places like Mincer’s, Heartwood Books, the College Inn, Freeman-Victorius, the White Spot and the Virginian. And countless stories remain to be created in the hustle and bustle at the Corner. 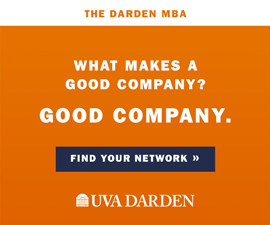 For the University of Virginia, the Corner is that seam of life that has always connected town with gown. Nearly 200 years have passed since Thomas Jefferson walked across an empty field and staked off what would become the University of Virginia. His ambitious Academical Village has evolved into something of an Academical City with tens of thousands of students, faculty and staff. The community around the University has changed as well. Once a sparse collection of manor homes and wood-framed cottages on dirt roadbeds, it is today an academic neighborhood in one of the country’s most desirable small cities. University, Virginia, scarcely resembles its former self. 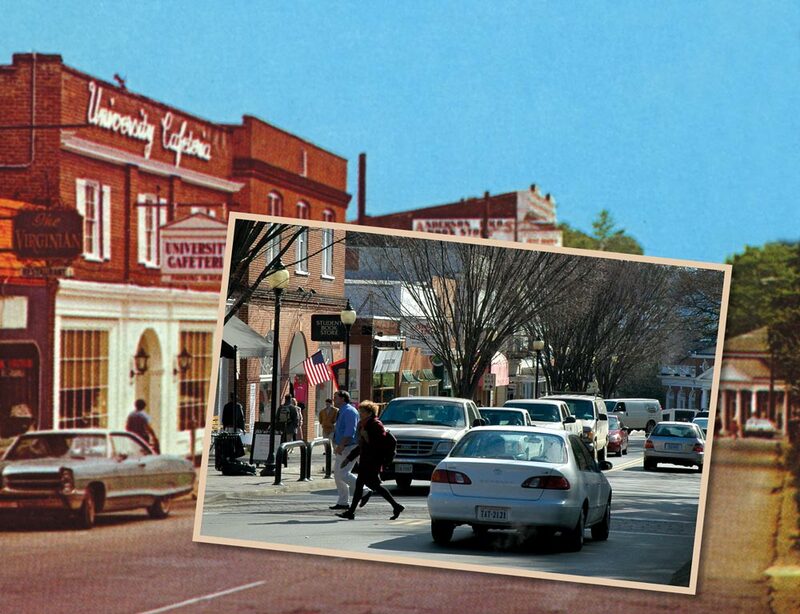 The UVA Corner may not be the primary shopping district it once was, having been outpaced by development on Route 29 and elsewhere. It may even have become something of a “food court,” where coffee shops and restaurants have replaced clothing stores and beauty salons. But the Corner has lost none of its charm. 1856—The Sons of Temperance Hall opened just outside the entrance gate to the University grounds in an area that would come to be known as the Corner. 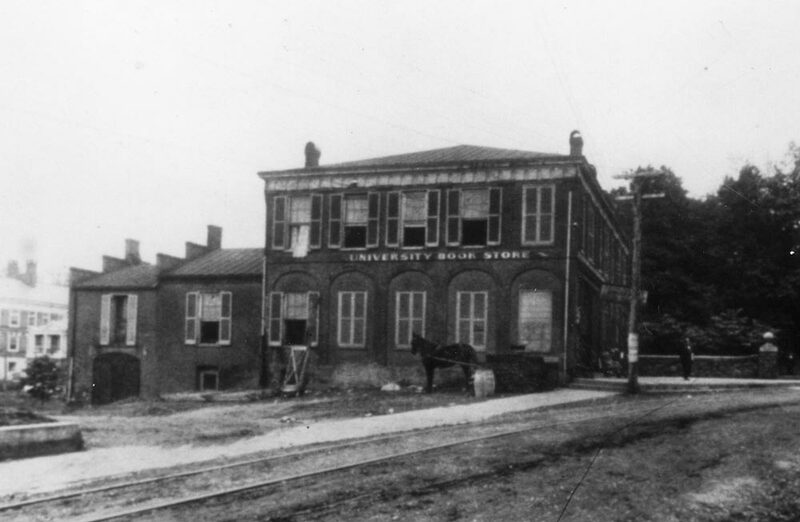 The new building offered a retail store on the ground floor, a room for the University Post Office (heretofore located in various rooms on East Rage), a barbershop in the back, and a large meeting room upstairs that was used by a variety of student groups—including the popular temperance society. Ironically, UVA students gathered at the Corner in its earliest years to affirm their shared pledge not to drink alcohol. 1861–1865—In the wake of nearby battles—First Bull Run, Port Republic, Fredericksburg, the Wilderness and Spotsylvania Courthouse, to name a few—there was always a flurry of activity at the Corner. Hospital trains hissed to a halt and soldiers were carried or assisted from the cars as the entire University community and Charlottesville became a hospital during the Civil War. During the struggle, students consistently withdrew from the University to enlist. By the end of the 1861 school year, 515 of 600 students, some as young as 15, had left to sing up for military service. Enrollment plummeted to just under 50 in the fall of 1862, the lowest in the school’s history. But a determined faculty and tenacious board of visitors persisted in keeping the school open. 1901—With nearly 30 passenger trains running through the University neighborhood each day, as well as an increasing number of pedestrians, hoses, wagons, and bicycles on the bricked streets, the graded crossing on University Avenue had become rather precarious. In July of this year worked commenced to dig out the road beneath the tracks. 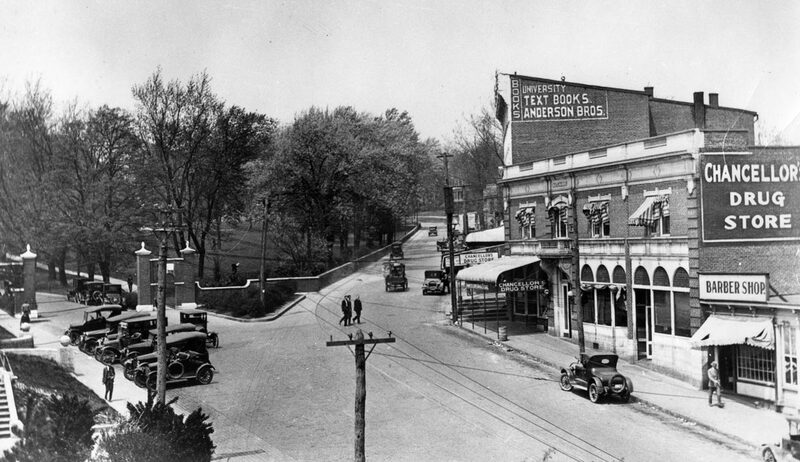 Fourteenth Street was also graded to meet the new level of the intersection. The result was a wide tunnel through which auto and pedestrian traffic still pass. Some students lamented the change, complaining that the project had marred an otherwise dignified approach to the University. 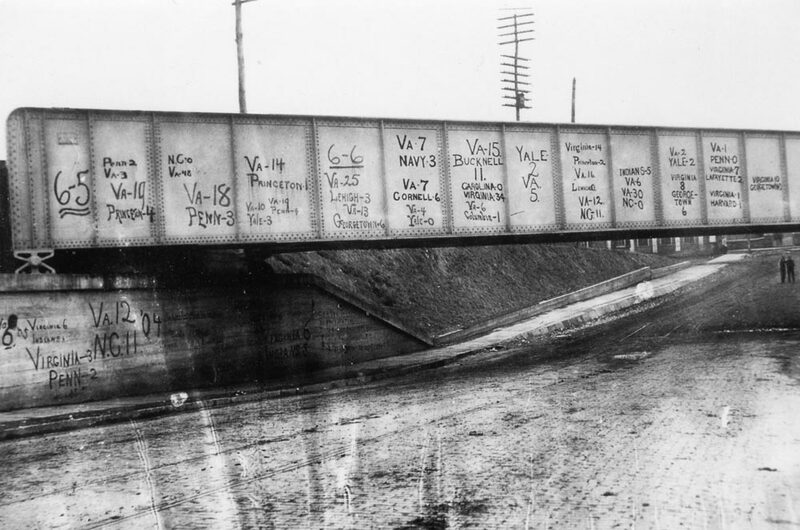 For better or worse, the low train trestle (which has snagged its share of trucks over the years) thereafter became the entrance to the University neighborhood from the east. 1913—The University’s new “Entrance Building,” erected behind Temperance Hall (which was razed a few months later) was unveiled and heralded the era of a “New Corner” during which older buildings were replaced with new ones. The deluxe Entrance Building (now known as the UVA Corner Building) had five separate storefronts. Mrs. Charles Senff donated money for a formal gateway in honor of her husband and in commemoration of the University’s Honor Code. Henry Bacon, architect of the Lincoln Memorial, used Harvard University’s 1901 gates as a model. 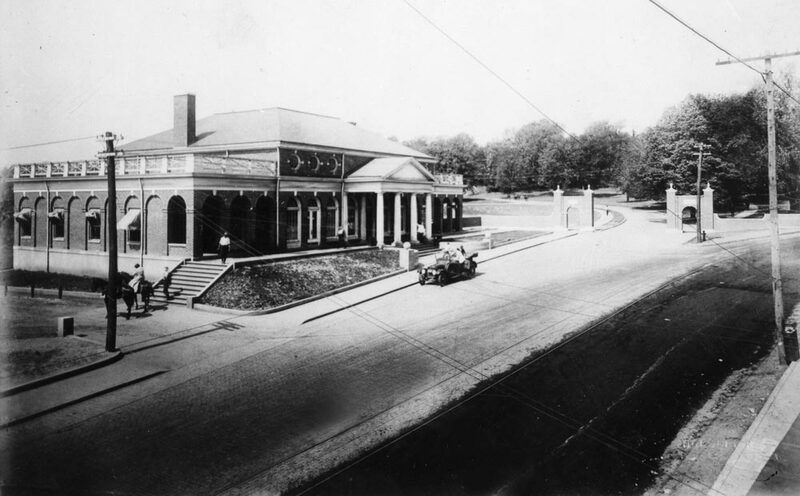 Unlike the crude turnstile that had once marked the entrance to the Grounds, the Senff Gateway was designed to accommodate both pedestrians and automobiles. It was erected precisely where Temperance Hall had once stood. In 1927 the Entrance Building was shifted eastward closer to the railroad tracks to make way for construction of the new medical school. An evil common to the University which demands immediate remedy is the habit of speeding past the Corner, to which local motorists seem hopelessly addicted. No one could spend a half hour at the Corner without having his attention very forcibly drawn to the great speed at which automobiles are driven past this point to the imminent danger of pedestrians, who are constantly passing to and fro. Drivers of machines open their mufflers and race past the University entrance in a manner that shows a reckless disregard of those on foot and in horse drawn vehicles. Hello Coy, I love your videos and articles on Charlottesville and UVA. I am writing a book on Ellie Wood Keith. 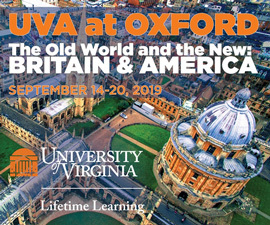 Can you tell me where you got the information about University, Virginia, the village?